First decide what type of cake you, the bridal couple, would like to eat & offer the guests at your reception. Are you going to use the cake for dessert - mousse, chocolate brownie cake served with berries, ice cream or cream makes a delicious dessert. Maybe you would like to serve the cake with coffee, vanilla sponge, lemon or chocolate, carrot cake & fruit cake to name a few. Cup cakes are still in vogue as they can be taken home easily by your guests. Browse the internet for design ideas to suit your theme or colour scheme - what design appeals to you both - more often than not the Groom gets very involved with key decisions these days ! 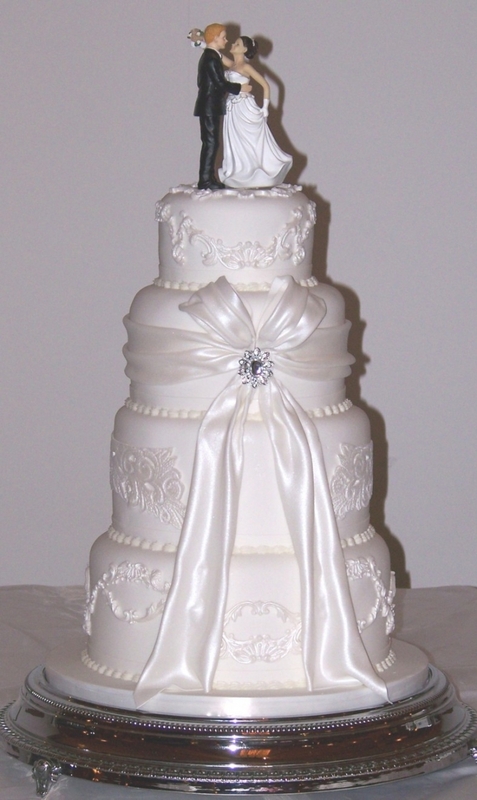 Look for a Wedding Cake Maker in the area or in the close vicinity where you will be holding your reception. Use the internet (a very handy directory at your fingertips! ), national bridal magazines, bridal fairs, local bridal shops for service providers. Maybe you have been recommended by word of mouth or from a wedding that you have attended where you were impressed with the looks & taste of the wedding cake! Make a few calls to find a baker who is willing to bake what you would like, for instance some bakers may only work with fruit cake. Discuss with your baker the decorating of the cake, to tie in with your theme or colour scheme, chocolate, fresh flowers, sugar flowers, ribbons etc. Make sure to find out about your delivery options? 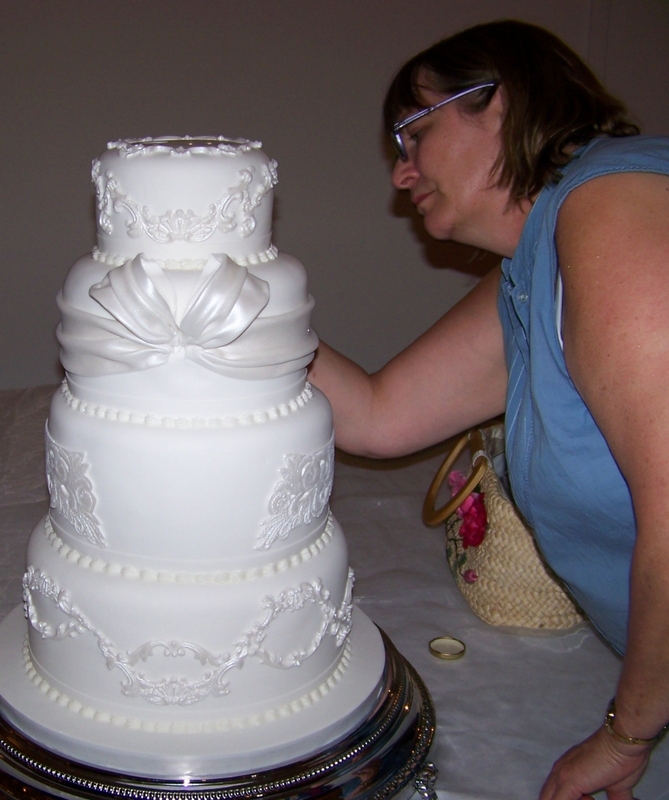 Is your Wedding Cake Maker able to deliver & set up the cake to the reception, (by far the best option - you do not have to deal with getting somebody to transport & set up, & nobody has to deal with any mishaps). Wedding cake makers know their job & it is part of the service offered - they also need to be at peace - knowing that their cake is proudly sitting on the table for all to see !! Of course there may be the instance that you need to transport yourselves (a very out of town wedding), in this case, ask your cake maker for advice when choosing a cake for self transportation. Once you have decided on a cake baker, book them for your wedding date. Wedding cakes take time & cake makers can only handle limited orders. Most will require a deposit on acceptance of their quote, with the balance paid on of before the wedding, not only will you be paying for the cake but also their expertise, experience & service.